When you get to the main entrance, go through the automatic doors (2) and you will find yourself in the Reception Area. There is someone to meet and greet you in Reception all day – the Manager’s office is to your right and if there is no one in there, look to your left and there should be someone in the Reception Booth. Tell whoever is on Reception who you are seeing and then take a seat in the Reception area. 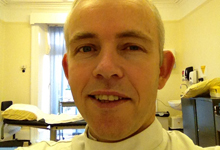 If no one is there take a seat and wait in Reception for the Osteopath to call you at your appointment time. There is a coffee/tea machine in the Reception area – tokens from the Manager/Receptionist. New patients are asked to fill out a brief questionnaire (which is enclosed) on the level of pain they are in before their initial assessment. If you need help filling in this questionnaire; please bring it with you and your Osteopath will help you. 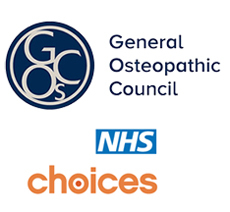 At the first consultation, the Osteopath will take a detailed case history; they may also ask for information about your lifestyle (job, levels of activity and diet). Turn off A39 where signposted. Proceed Past Morrisons over the roundabout and down the hill, past the school. After about half a mile you’ll come to a roundabout with the river now in view. Don’t turn right towards the town but carry on over the river bridge, past the car park on your left and you will see a post office on your right. Turn right here and follow the road around and turn right again. 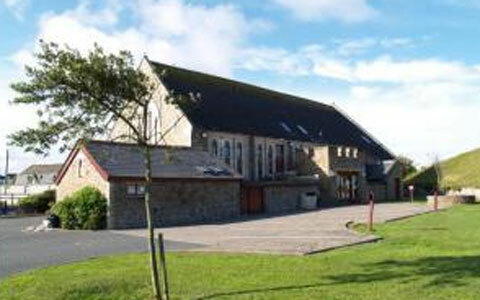 Proceed past the church, following the lane alongside the river and our building will come into view which has a large grassy area to the front and car park. The parking spaces at the front of the building are 60pence per hour – no concessions. 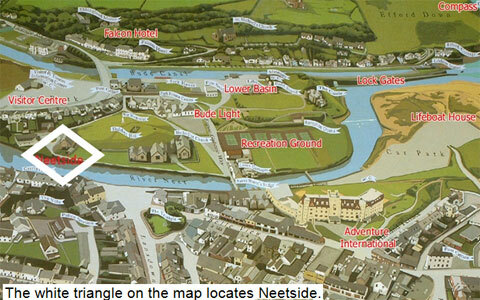 This area is owned by the Bude Town Council and Neetside has no authority or responsibility over it. However, there are two spaces to the side of the building and five to the rear which are free of charge but subject to availability. These are reserved for Neetside staff and their clients.